The Guidense TDR100 is a guided level radar for continuous level measurement and point level detection in liquids and solids, with active analogue and control output. It is very easy to install with a 4-wire system: a set of 2 wires for the power supply and separate sets of 2 wires for each output. As with all iCenta Products, the Guidense is very easy to install and quick to configure via a single push button operation. The Guidense TDR100 is mounted vertically to the tank via its connection thread, which is screwed directly into a standard threaded tank connection, i.e. weld-in socket, or it can be screwed into a flange, which is connected to a tank nozzle. To meet various application requirements, the Guidense TDR100 has three different probe types: single rod probe, wire rope probe and coaxial probe. The single rod probe is recommended for installations in liquids and in bypass chambers and stilling wells. The wire rope probe is recommended for installations in solids, tall tanks and where limited headroom is available. 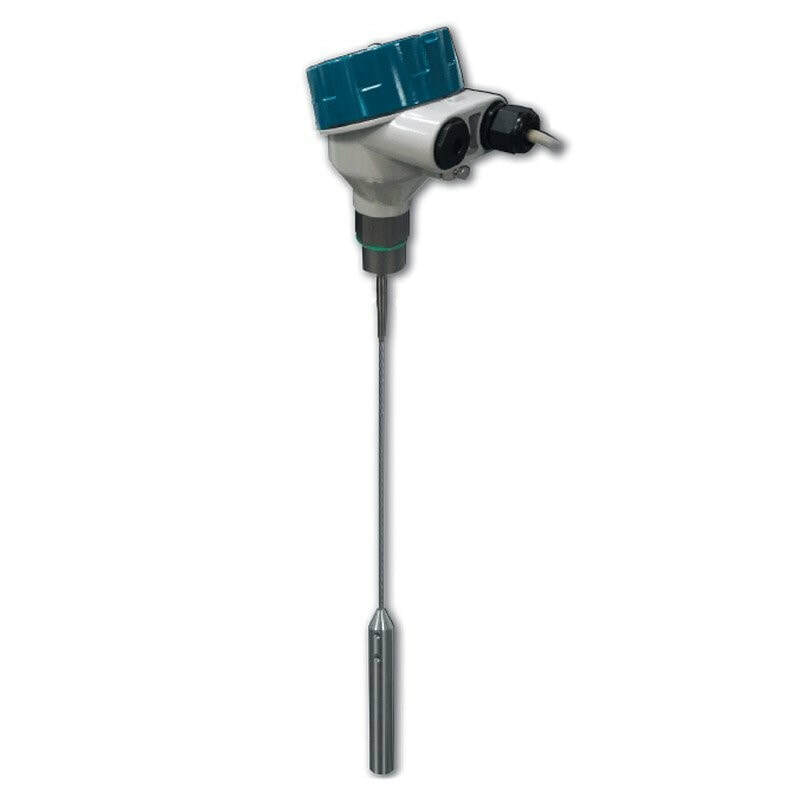 The coaxial probe is the ideal solution for a hassle-free ‘drop-in anywhere’ application; ensuring reliable measurement under almost all conditions. A Variety connections and choice of Cable and Rod interfaces available for most common installations. Smart level measurement solution is extremely suitable for off-grid and hard to reach locations. Suitable in almost every liquid and solids – independent of changing process conditions, such as density, conductivity, temperature, pressure, vapour, turbulence, low dielectric constant or low reflectivity. Water and waste water in remote locations. The Guidense is a robust guided wave level radar transmitter for continuous level measurement and point level detection in liquids and solids, quick to configure via a single push button operation. Single rod probe: O/ 6mm. ​Wire rope probe: O/ 4mm / counterweight: O/ 22mm. ±3mm or 0.03% of measured distance, whichever is greatest. ATEX II 1/2 G Ex ia/d IIC T6 Ga/, IP68 / NEMA6P. G 3 /4 A or 3 /4” NPT (wrench size 32mm).